In celebration of Major League Baseball’s upcoming 2014 All-Star Game, here’s a glimpse from Lawrenceville’s baseball past. Below is a glass lantern slide featuring the Cleve House team from 1905. We are currently arranging, describing, and scanning portions our or glass lantern slide collection. The collection features rare images of the campus in the early 20th century. Check our blog for future updates. 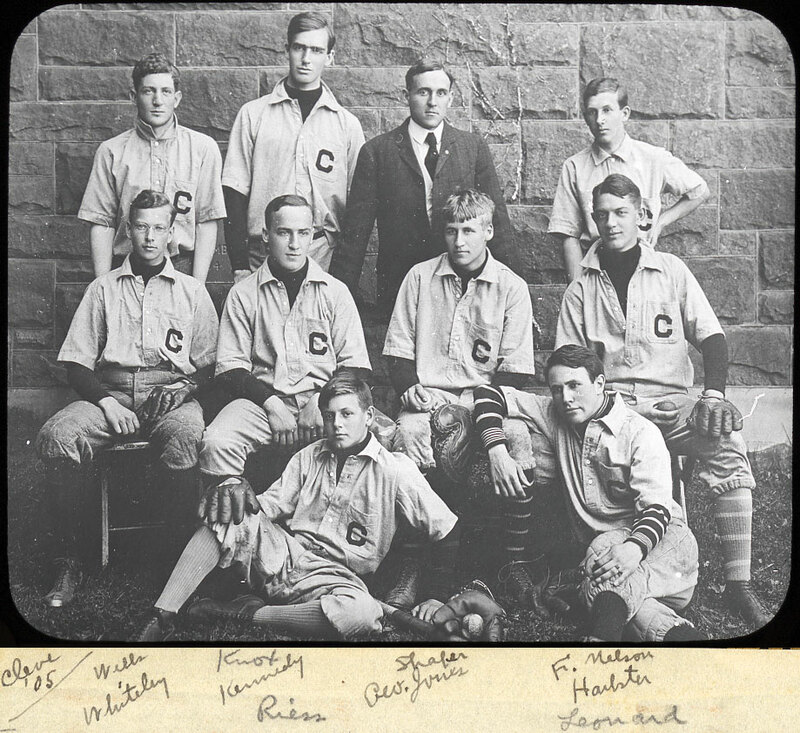 With the baseball season in full swing, we wanted to highlight a classic Lawrenceville School baseball memory – a 3-2 win over rival Mercersburg in 1908. Team captain Frank Williamson Harper L. 1908 pitched Lawrenceville to victory in a game that lasted a hard-fought 20 innings! For years it was widely considered the greatest game the campus had ever seen. 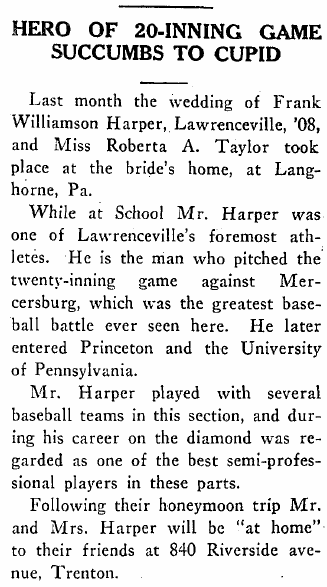 It was even noted as such in Harper’s wedding announcement which ran in The Lawrence on May 1, 1914.